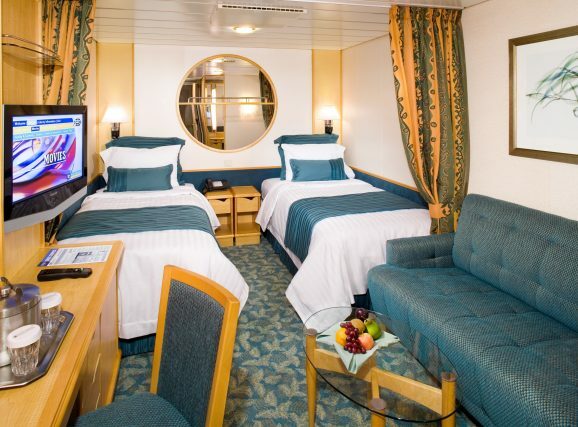 Experience the “Suite Life” when you book a suite on Royal Caribbean. 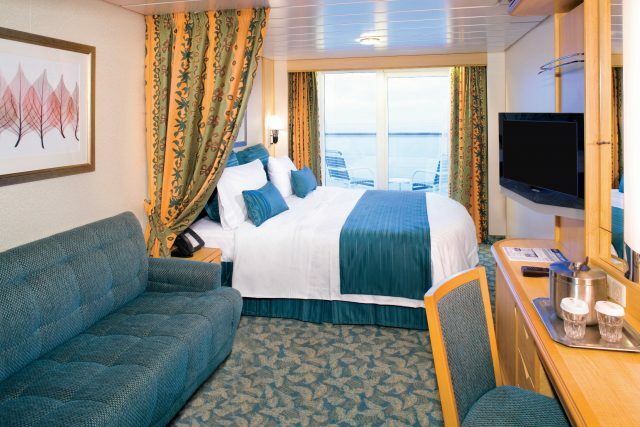 Suites offer even more amenities and personalized service for an exceptional cruise experience. Our suite program focuses on distinctive, tailored service and touches every aspect of the guest’s cruise, from arrival through departure. Get on board faster with exclusive priority check-in. 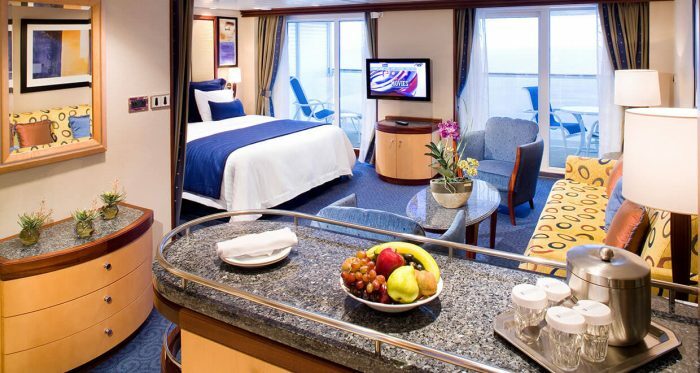 Receive personalized attention during the cruise with complimentary Concierge Club service on select ships. Enjoy the best seats in the house during shows and performances with reserved prime seating (where available). 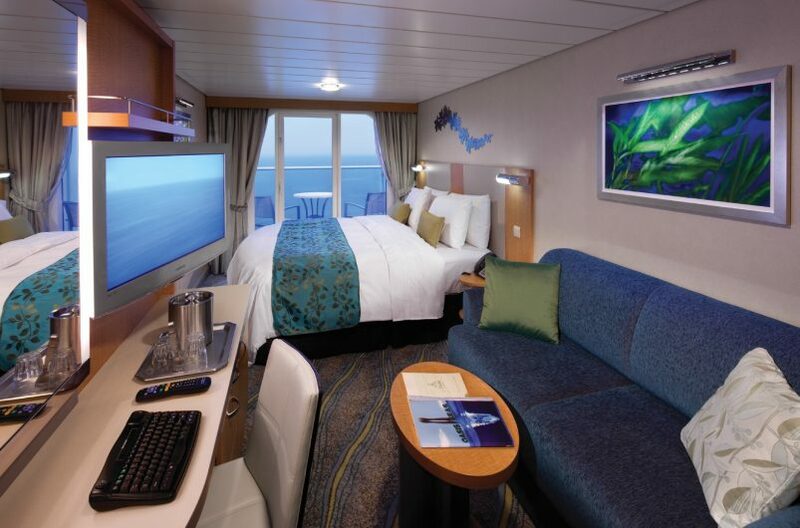 Receive priority tender tickets on select cruises. Relax in style with VIP pool deck seating, where available. Indulge in in-room dining during breakfast, lunch, and dinner – simply order from our dining room menus. Enjoy private breakfast and lunch seating in specialty restaurants on our Voyager and Freedom Class ships. Let us handle your bags with our complimentary luggage valet service. Look your best on formal night with our complimentary pressing service. 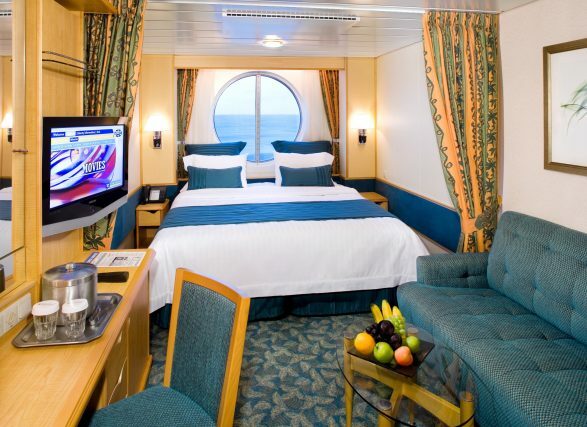 At the end of your cruise, enjoy priority departure through our exclusive suite* departure lounge, which includes continental breakfast. Schedule some relaxation into your day. Make appointments for salon services or spa treatments. Get help arranging a private party for your group with our team of experienced event planners. View the day’s dining menus and order dinner wine in advance. Note: The above suite amenities are not available to guests staying in our Junior Suites.